Centering themes of death and rebirth, refinement and consistency, allowance, surrender and ease, this e-Book includes a variety of written tools to assist in winter reflection. 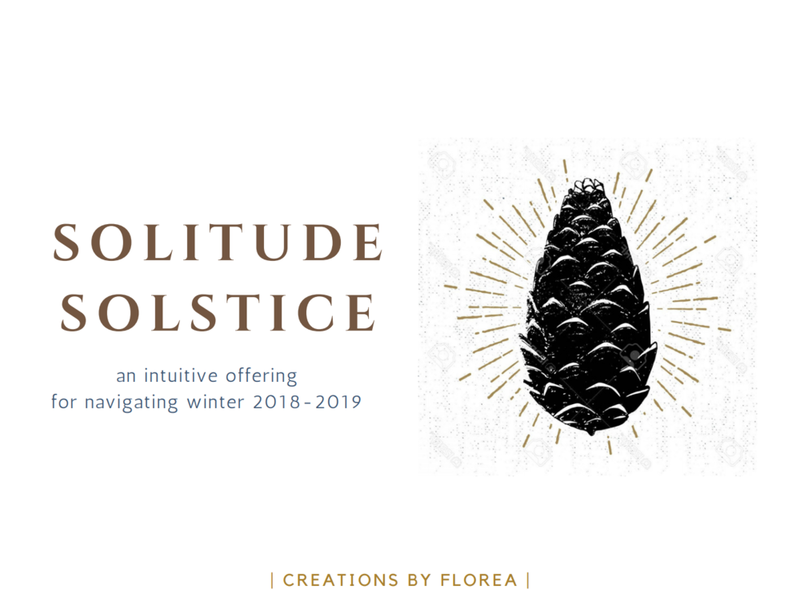 Solitude Solstice is meant to serve as a guide for those who wish to best utilize the winter season as a time for self-reflection, refinement and recharging. It includes short essays, an oracle reading, herbal recipes and plant profiles, and thematic questions to consider. The e-Book is 17 pages and is available for purchase here.